Hitachi America, Ltd. today announced the OneVision Kids Program for K-12 Education Facilities. The new program provides solutions for every projector application on K-12 campuses, and provides members with specialized pricing, premium warranty, enhanced service and direct access to Hitachi experts. Organizations will have direct access to Hitachi sales and service specialists who can provide onsite demonstrations and evaluation units. OneVision Kids Program members will receive product and program updates, as well as access to specialized Hitachi promotions on a regular basis. 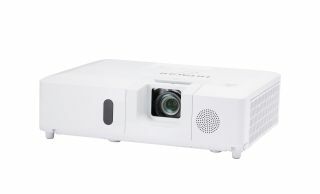 Whether buying one or multiple projectors, specialized pricing is available through the customer’s preferred Hitachi resellers. Members also receive complimentary 5-year warranty support on qualifying projector purchases, and receive a complimentary extended lamp warranty upgrade. Visit Hitachi America, Ltd. at InfoComm 2018 at booth #C2736.